This week, I want to move even closer to communicating the New Testament basis for Renewed Heart Ministries’ new HeartGroups, especially in the context of the Sufficiency of Christ. Again, we are basing the nature of HeartGroups on the nature of the New Testament Ekklesia (which was really just an extension of the relational nature of the Godhead itself. See Part 1). To the early church gatherings, Christ was EVERYTHING! What does each of these mean? Let’s take a closer look. These small groups (early New Testament churches, the “ekklesia”) were rooted and grounded in the story of Jesus (the Gospel). They were not focused on a person with a charismatic personality, nor were they elitist, gathered around some nifty doctrine. Jesus, His story, His resurrection, and His Kingdom became EVERYTHING to these gatherers. 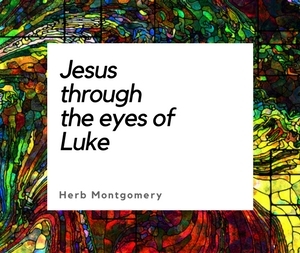 Jesus was the central focus of each of their gatherings. Even when they studied together, the subject they studied was the story of Jesus. Why? It’s simple. First, Jesus was their doctrine. Anyone who sought to share with these gatherers a “new” doctrine faced the test of the story of Jesus. In Paul’s letter, notice his definition of a sound doctrine. A sound doctrine is one that conformed to the story of Jesus as they heard it from him. The Story of Jesus (the gospel) was everything to the early church! Some will ask, “But didn’t the early church have leadership?” Of course! However, notice its style of leadership. The overseers (the older, more experienced individuals in each group, i.e., the elders) were simply to serve the group (for Jesus’s command of servant leadership, see Luke 22.25,26) by making sure the Headship of Christ was not hijacked by any one person, a group of persons, or even themselves during their gatherings. These early gatherings were marked by a group of people coming together (assembling, the ekklesia) in an authentic community in an open, mutually participatory manner, an every member functioning, priest (or priestess) hood of all believers’ style, (Jesus had done away with Temple, Sacrifice, and Priest) coming under the Headship of Christ and letting HIM lead each of their gatherings. (Note that Paul never writes to individual believers about what they need to do to grow in Christ. On the contrary, Paul always writes to the assembly, the ekklesia, encouraging the body in regards to what the body needs so that each “member” might grow up into Christ, who is their Head. More on this in upcoming weeks. Maybe.) No hierarchical leadership existed in these gatherings save for the Headship of Christ Himself. Today, we are a conglomeration of church hoppers and church shoppers. We are a community that has been culturally conditioned by the paradigm of our functioning, first and foremost, out of our consumer-driven needs. Although this may or may not be acceptable in other forms of our life (that debate is still raging), a consumer needs-based drive is never acceptable as a motive for ekklesia. We are not gathered together to meet our own needs or desires but the eternal purpose and strong desire of Christ Himself (see John 17, as well as Part 1 again). What happens when someone in the group has a truth or a doctrine, or something lengthy, that they feel is important and would like to share with the group? If someone in your group has a pet doctrine or a theological hobbyhorse that he or she continues to peddle in your meetings, and that detracts everyone else from Christ, you can try this. Set aside a special meeting (one event) during the week at which this person presents his or her doctrine to the group without interruption. Make an agreement with this person ahead of time. After this person has shared his or her heart, the group will react. If the person has convinced everyone about his or her doctrine, then he or she must agree to no longer bring it up during your meetings. Everyone is convinced, so there is no need. If the person does not convince everyone, then he or she must agree to stop talking about it altogether. Remember, your meetings are centered on the story of Jesus; in other words, the Gospel and Christ IS sufficient. These gathering are not to be used as a platform to expound your favorite doctrine. Therefore, leave any other specialized doctrine that does not conform to the Story of Jesus (i.e., the Gospel) at the door and do not monopolize your gatherings with them. Again, these gatherings in the New Testament were neither bless-me clubs (where people came to have their own needs met) nor were they elitist by nature. Nothing even close. These groups were assembling to fulfill, together, the strong desire and longing of Christ Himself that reaches back all the way to the beginning. As we have covered in previous weeks, this is God’s strong, original, and eternal desire. It was lost through humanities’ belief in lies about the Father. Jesus came to restore to us this life of Love. THIS is the eternal longing within God; for us to experience His radical, other-centered, self-sacrificial love in a community that lives and breathes the very ebb and flow of the love found within the Godhead. Just as this was lost through lies about the Father, Jesus would restore to us this experience by revealing to us the truth about God’s character of Love (see John 17.25,26 and John 8.32). Again, God’s strong desire is that we will, together, as ekklesia, enter into the pleasure of His eternal ebb and flow of self-sacrificial, other centered, radical Love, the very love of the Triune God. This He longs for us to experience with Him and with each other. This is HIS Desire. His eternal purpose! And thus the PURPOSE of our gatherings. When we come together, we are to hold Christ’s desire for ourselves to enter into the Godhead’s love (see John 17) as paramount above all other possible agendas. Through our expressed love for Christ and our expressed love for one another, we are gathering to give to Christ Himself the fulfillment of His eternal desire. Our aim is that HE will feel overjoyed as we too become simultaneously the conduits for and the recipients of Their other centered love. In our gatherings, we are there to testify OF HIM. We are there to, together, give praise TO HIM. We are there to, through mutual prayer, engage the enemy on behalf of those whom we know, and who have inestimable value TO HIM. (And to help and bless those very same ones as we have means and opportunity.) We are there to “teach” and even “instruct” one another (Ephesians 2; Romans 15), sharing with each other HIM as He has, and continues to, share Himself with each of us. We are assembled to practice the “one anothers” of the New Testament in an authentic community, not to meet our own needs or our own desires, but through entering into the very “one another” love of God, the “one anothers” of the New Testament, again, that God Himself might feel over-loved and overjoyed, as He sees His strong desire for us experienced, encountered, and fulfilled in our ekklesia! Christ is not simply our focus, He is not simply our head, but He and His desire actually is the very PURPOSE for which we have gathered. As always, keep living in love, loving like Christ, and together let’s enlarge the Kingdom.